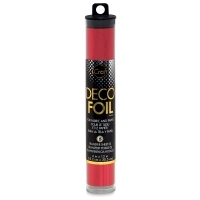 Add vibrant color and brilliant shine to your paper and fabric projects with iCraft Deco Foil. 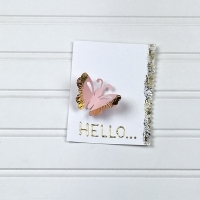 It's the do-it-yourself way to add foil stamping to your projects without the need for a printing press. 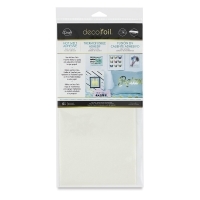 The process requires iCraft Deco Foil Transfer Sheets and one of three available adhesives — Hot Melt Adhesive, White Foam Adhesive, or Liquid Adhesive. Just apply an adhesive to your project, lay down a foil sheet, and burnish (with fingers or an iron, depending on the adhesive). It's simple, user-friendly, and almost foolproof. 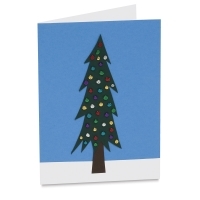 Foil Transfer Sheets, Hot Melt Adhesive Sheets, and White Foam Adhesive Sheets are sized to run through most most punches, die cutters, and electronic cutters, including the Silhouette Cameo, Portrait, and Curio. Or they may be cut by hand. iCraft Deco Foil works on both paper and fabric, as well as on any other porous surface, including wood. The products are proudly made and/or assembled in the USA. 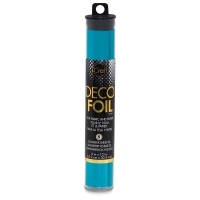 Liquid Adhesive — Deco Foil Liquid Adhesive is designed for adding freehand drawings, script, and other hand-drawn embellishments to your projects. The bottle has a pointed applicator tip that lets you use it like a writing instrument. Simply apply the adhesive directly from the bottle, let it dry, and then lay a foil transfer sheet over it. Use your finger to burnish the design, lift off the foil, and enjoy the colorful results left behind. 2.1 oz (61 ml) bottle. 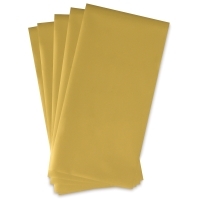 Hot Melt Adhesive — Excellent for use on fabrics, Hot Melt Adhesive is easy to apply with an iron. 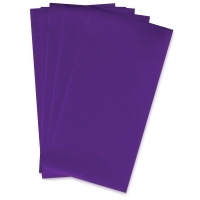 Just cut or punch your design from one of the sheets, lay it down on your fabric, and iron for approximately 30 seconds. 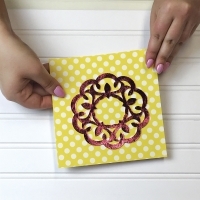 Then lay a foil transfer sheet over the design, iron for another 35 seconds, and peel away the excess foil. 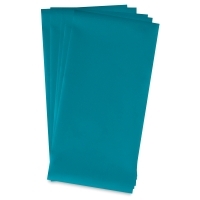 Fabrics embellished with this adhesive are very durable and even washable. 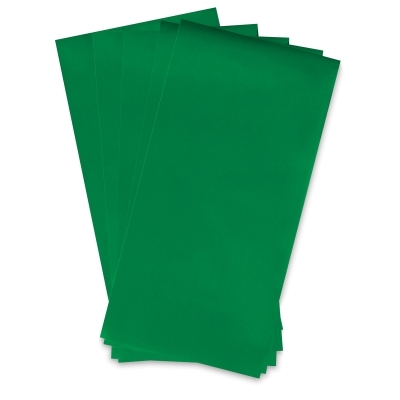 Sold in a package of five, 5½" × 12" sheets. 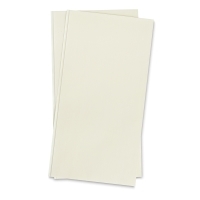 White Foam Adhesive — Ideal for paper projects, these sheets have adhesive on both sides. 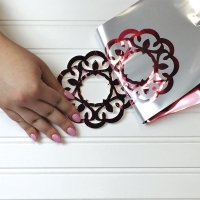 Just trim to your desired shape, apply a foil transfer sheet, finger burnish, and remove. 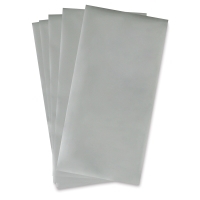 The foiled shape can then be attached directly to your project using the adhesive on the other side. Or, foil both sides to create a fully foiled 3-D piece. 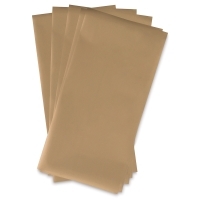 The acid-free, 6" × 12" sheets are sold in a package of five. 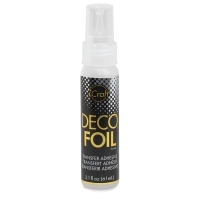 ® iCraft is a registered trademark.™ Deco Foil is a trademark.